Photographs of food are mouthwatering and mesmerizing, but often we are viewing an image of the final product. 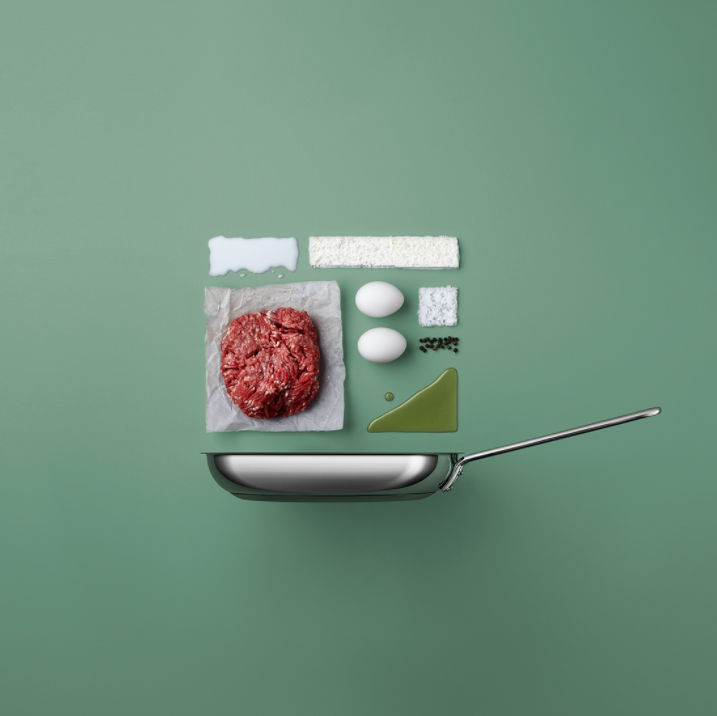 Colossal shares Mikkel Jul Hvilshøj’s food flatlays, which not only showcases the ingredients, but also the cookware – suggesting that the pot and pan are an equally important part of the dish. The Copenhagen-based photographer is taking food styling and stripping it down to its core elements. Who hasn’t experienced the panic of racing down to the subway platform only to watch your train pulling out of the station. Well, no more! Curbed shares the newest tech toy that will save you time, but maybe not money. For $300 the aptly named NYC Train Sign start-up is offering a NYC train sign that uses real-time MTA data to display your station’s train arrival time. Never be F-ed over again! Michelin-star restaurants are always at the top of everyone’s list, but the thought of paying upwards of $200 per person for a meal can make your stomach churn. Tasting Table is sharing the secret to Michelin-worthy dining at just $35! Michelin-starred Claus Meyer and Fredrik Berselius are offering a three-course, $35 dinner at their Greenpoint restaurant, Norman. That’s like… 2 ½ NYC cocktails! Her uncle, Mario Testino, made a towel the epitome of chic. Now Marina Testino is following in his fashion footsteps. While Testino lounges in haute couture Chanel on the red velvet banquettes at the Parisian bistro, Benoit, Coveteur editor Tara Gonzalez gets the inside scoop on Testino’s own fashion brand, while they muse about Coco Chanel and what she would think of 2017. Michelin-starred Chef Joe Isidori of NYC’s Black Tap restaurant brings one of his signature Crazy Shakes to the national morning show, Pickler & Ben. Named for its Fruity Pebbles flavor (think The Flinstones) the “Bam Bam” is packed high with colorful confections. After watching the segment, you too can make this sweet shake at home. Get ready for a major sugar rush! While serving in the navy, Vets Tyler Benson and Benjamin Mantica experienced bustling markets in places like Japan, Singapore, India, and Malaysia. The sense of community in these markets was something they wanted to bring back to the States. They’ve done just that in creating Galley Group – a company that’s building restaurant incubators/food halls in Pittsburgh and other rustbelt cities. Afar discusses how Galley Group is revolutionizing the food hall model and paving the way for the next generation of Pittsburgh chefs.